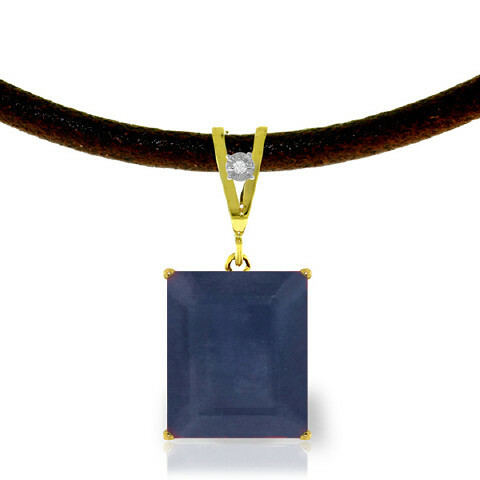 Sapphire & diamond necklace handcrafted in solid 9 carat gold. Single 7 ct natural sapphire, grade AA, 0.01 ct diamond, I-3/K. Octagon cut. 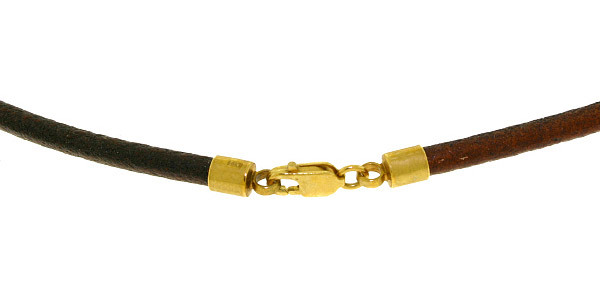 Pendant suspended from 17" genuine leather cord with gold lobster clasp.